Hugo can be found buzzing around Charlotte entertaining fans of all ages. You can find him at every Hornets home game and various events around the community. To book Hugo for one of your events, click on the link below. They may be small in stature, but the talent they bring is huge! You don’t want to miss the Lil Stingers perform; they’re always the highlight of the night. National Anthem Auditions – Click here to learn how to submit your demo for the national anthem. Gameday Shoutouts – Click here to submit an inquiry form and learn more about our different types of shoutouts. 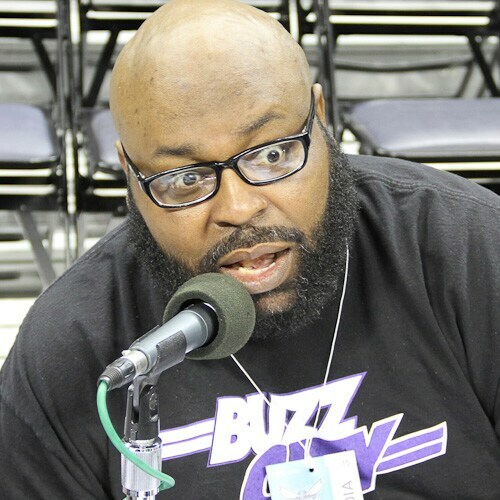 Big Pat’s golden voice has been a staple at Hornets games for years. Originally from Maryland, Big Pat has been in the PA profession since 2000 when he started in professional soccer. You can hear him live at every Hornets home game and at several events around the Charlotte community. Information on the Hornets DJs coming soon. 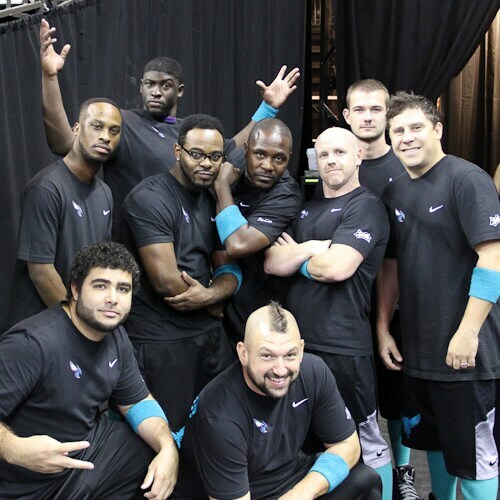 Adding a musical element to Hive Entertainment is Buzz City Brass. Putting a unique spin on everything from the classics to Top 40, you can catch them playing pregame and postgame at Spectrum Center. 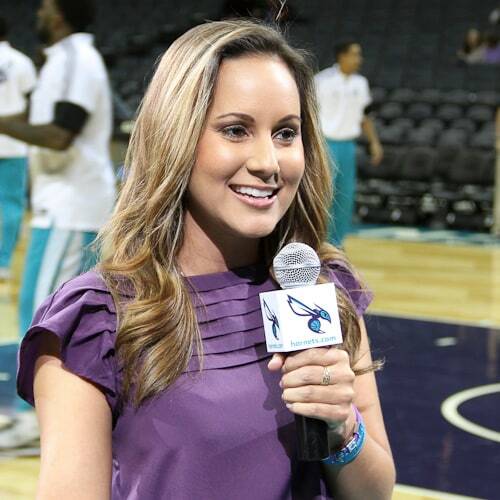 Hive TV host, Jacinda, joined the Hornets and Hive Entertainment in 2014. Her career in on-air entertainment began in morning radio and later propelled her onto television for Charlotte’s WBTV and WCCB stations. Today she freelances for WCCB as a Morning Co-Host, Weather Forecaster and Reporter. Fly Ty also joined Hive TV in 2014 and is most known in the Hive for hyping up the crowd. He also emcees the Hornets Book Bus, the Charlotte Hornets Foundation literacy program. Fly Ty began is a veteran in Charlotte Radio, and continues working on several radio stations in the city and throughout the country.